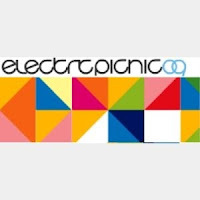 I went to Electric Picnic (EP) this year for the first time and it was the bee’s knees and the cat’s pajamas. I took the reasonably comfortable approach and stayed in a podpad which was the cutest thing! The podpads are very colourful and look a bit like oversized kennels. There was loads to see and do at EP, in fact it was impossible trying to fit it all in. I couldn’t get over the number of different areas that there were and how much non-music stuff there was to do. It was also great being able to enjoy lots of different types of yummy food too. The Body and Soul area had some fantastic stuff set up and was a great place to chill out. I also enjoyed the Mindfield area which had a mix of poetry, science, Irish language, debate and Theatre.